In the Second Edition each chapter concludes with a new “Trend to Watch” section. These end-of-chapter discussions synthesize the major themes of each chapter, present recent research on a provocative topic, and highlight opportunities for further exploration by researchers (or even students). This award-winning adaptive learning tool personalizes quiz questions for each student in a game-like environment. Questions in each chapter help students master core concepts. Assigning InQuizitive has proven benefits. In a recent efficacy study, when students completed an InQuizitive activity prior to taking a summative quiz, grades increased by an average of 18 points. The quiz scores of weaker students increased the most, meaning that students who might otherwise struggle saw the most benefit from using InQuizitive. 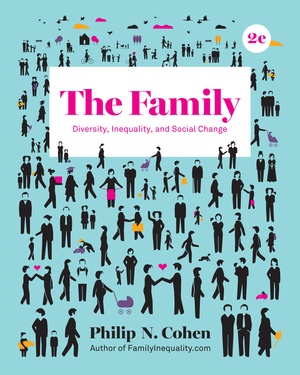 What does “the family” mean in the 21st century? Demographic trends in areas such as childbirth timing, cohabitation and marriage, divorce, remarriage, and new family forms mean we face more family choices than ever. 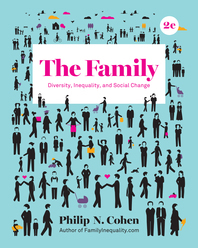 In each chapter Cohen examines these changing patterns as well as the social forces that constrain the options available to many individuals. In particular, he examines how growing inequality challenges families in areas such as health, wealth, and well-being.